Healthy living has become a trend for some people nowadays, but for most, it is a necessity. Many of us want to start a new life by rebuilding our body through healthy lifestyle, which includes exercise, healthy diet and positive vibes! Well, who doesn’t? Other than healthy food and proper exercise, healthy lifestyle also includes proper supplemental routine. A lot of people consider healthy drinks including Unsweetened Cranberry Juice, Tomato-Vegetable Juice and Strawberry-Cucumber Juice. Many people take food supplements as an imperative choice for cleansing and detoxification. Fruits are the best organic alternative for your chemical food supplements and vitamins. When you look it up online, thousands of advice would teach you to brew, blend or juice out any leaf, beans, veges or fruits. As juice or shakes are the best ways to take these fruits if you want to ingest them in a regular basis. So, today, we are going to talk about unsweetened cranberry juice. We will share to you amazing benefits, and more thoughts on cranberry juices, and why it is better to pick the unsweetened ones. What is a Cranberry juice? It is best to start by answering what is a cranberry? Cranberry is a red type of fruit berry. It is found in a lot of countries, especially in England and the USA. But, it doesn’t really matter anymore because you can find cranberries in most markets anywhere, as it has become a ultimately known fruit. It has been also used for any products, and processed over the years to make a sauce or cranberry paste for cooking and juice to drink. You might notice, however, that there are just a lot of cranberry-made products in the market, or claiming to be cranberry-made. You may find sweetened or unsweetened cranberry juice or pastes or flavoring. And you just get confused as to which is good in terms of health benefits. Let’s try to see and compare few of the characteristics of cranberry products, especially juices. A lot of dietitians claim that cranberries, whether sweetened or unsweetened, have the same effects for treatments that cranberries are known for, like UTI. However, we strongly recommend the unsweetened cranberry juice. Why? Sweetened cranberry juice may cause other health issues if taken in a regular basis. The less sugar, the more safe and healthy it is, per se. Another confusion comes to mind is which to choose between an organic cranberry juice or an inorganic one. To make sure we are on the same page, we need to introduce the differences of the two. Organic unsweetened cranberry juice is simply the raw juice of cranberry itself without or with very little additives in it. When we say inorganic, it refers to the cocktail ones, or sweetened ones, which were added of sugar and other additives. This also refers to powdered products of cranberry and those that are not really made of cranberries, which is actually the worst of all. It is always advisable to grab the organic made unsweetened cranberry juice. It has less or zero additives and preservatives, plus it is the best healthy option you can choose. One way to achieve organic unsweetened cranberry juice is to buy cranberries and blend them yourself at home, or to buy ready-made unsweetened cranberry juice in the market. What can I get from drinking Unsweetened Cranberry Juice? This question would probably be the first thing that we would ask in deciding whether to include unsweetened cranberry juice in our lifestyle, or not. It is always a wise move to know the benefits, or the negative effects if there’s any, of the drink first before taking it into consideration. And here’s the game changer, there are actually a lot of benefits that we can get from drinking unsweetened cranberry juice and really incorporating it to our lifestyle. You’ll be surprise to know that these benefits are not just merely focused on health, but they are really long lasting benefits for as long as we live! So we are going to include 7 amazing beneficial facts about unsweetened cranberry juice that most people don’t know. Knowing our list would help you discover a lot more unsweetened cranberry juice benefits. Learn more. The Orac Score Chart or the Oxygen Radical Absorbance Capacity chart is a known antioxidant ranking system for food. According to the list, Cranberry fruit is loaded with antioxidants with an ORAC score of 9, 090 to be exact. That’s five times more antioxidants than spinach or any other fruit! So, the main point here is actually not the ranking, but the fact that the unsweetened cranberry juice is high and rich of antioxidants. And the glamorous fact that antioxidants is a life and health saver goes without saying. That fact alone is sufficient reason enough for us to say hello to unsweetened cranberry juice! Also, one of the powerful benefits of the unsweetened cranberry juice is that it is an incredible cancer-fighter. We know that most berries, including blueberries and cranberries are great antioxidants, and because of that they can really help fight cancer. Our enemy that we call free radicals damage is one of the main cancer pioneers. And antioxidants is just a great fighter of free radical damage. So, if you know someone who have been diagnosed of cancer, unsweetened cranberry juice is a great drink that he/she should maintain. Unsweetened cranberry juice is good for the liver. When you taste the sourness of that pure unsweetened cranberry juice, which is awesome for your liver, it actually supports detoxification. Only few people know that cranberry juices are actually really good for your kidneys and the bladder. The antioxidants content of the juice helps protect the kidney, the liver and the bladder from all sorts of deceases and infections. One glass of unsweetened cranberry juice contains heart-healthy polyphenols which protects the circulatory system. It also reduces the risk of having atherosclerosis or clogged arteries. So, if you have a problem with blood circulation, or some symptoms caused by it, such as ; difficulty in breathing, over fatigue and drowsiness, try unsweetened cranberry. But don’t forget to consult your doctor before taking it regularly. In Chinese medicine, the kidneys, along with the adrenal glands, are there to help your body better deal with stress. So, if you are under an emotional stress on a regular basis; be it love-life stress, workplace stress or whatever you know that causes you heartfelt worries, unsweetened cranberry juice will help your body to fight the stress. Another factor of that is because cranberry juices helps blood circulation. So, save yourself from all the drama by drinking unsweetened cranberry juice. It is actually a little bit difficult to decide which product deserves an attention. With so many self-claiming pure and organic unsweetened cranberry juice products in the market it is hard to recognize which ones are legit. With that being said, our number one tip we can share with you is to always check the label or the nutritional chart on the bottle or the packaging of the product. It is your major way to know if the juice is purely organic. Also, through this way, you would know more of the nutritional values you can get. Still the best advice we can give is to make your unsweetened cranberry juice all by yourself at home. Especially if you have a blender. However, buying a ready-made product also saves you from all the works, or even the risk of making a failed version of unsweetened cranberry juice. So our job is to puck out the best unsweetened cranberry juice according to customer reviews online and in market places. If you have been shopping through organic stores, or if you have noticed in the market, you might also notice that this brand has always a platform. This spray has been claiming to be 100 percent pure and organic, from real cranberries. This brand is also known for their much competent quality. It claims to have no additives added, no artificial preservatives or food coloring or flavoring. Another well-known product noticeable in the market. Lakewood brand has also been claiming to be a hundred percent organic as well, with zero additives, too. Although a lot of people comment about its slightly dominant sour taste or strong sour taste. Still, a lot of consumers praise this brand for their safe and good packaging. Especially for those who were working abroad. This all-natural claimed product is really amazing as well. This is known to be 100 percent natural too, with no sugar or preservatives added. Most people treat this brand more as a food supplement, rather than a comfort juice drink. Because this has a very strong taste with bitter aftertaste, just like a typical cranberry fruit. Tip: Try to add water with this drink in one glass so that it will be a little comfortable and a little more drinkable. You can also add a little sugar, if you choose not to go completely unsweetened. Our last pick is also a commonly known product, especially in the U.S.A. This 100 percent pure and organic product has been used and loved by most people. It claims to have a full concentration of hundreds of cranberries. This product is commonly used for other purposes as well, such as; for fruit cocktails, smoothies or mixers. 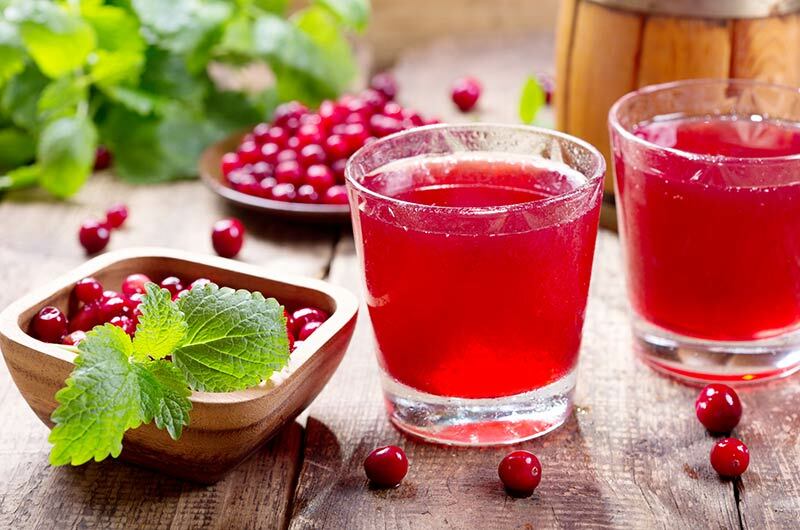 As time pass and more discoveries have been invented overtime, researchers and medical experts have found a ton of ways to ingest or process unsweetened cranberry juices. Aside from mentioned above, there is still a lot of unmentioned effects of unsweetened cranberry juice. Weight loss is actually a particularity most people take into a major consideration. In fact, a lot of people would die right now just to lose a little pound. Unsweetened cranberry juice is actually a good aid or supplement to lose weight. Because it has very little amount of sugar plus because of its high antioxidant content. Weight loss does not happen all the time, though, or overtime as it has a proper method depending on your mission. Unsweetened cranberry juice is perfect to drink before meal if you want to lose weight. This is to set the right acids in your stomach and lessens your appetite and aids digestion as well. I’m not saying that the unsweetened cranberry juice drink is a perfect alternative for your energy drinks or it is an alternative for a cup of coffee. But unsweetened cranberry juice is good to drink right after you get up from the bed in the morning. Its high antioxidant content is awesome for your revitalization which gives you an accurate energy for the day. It stimulates your mind and happy cells. Plus, it also rejuvenates your cells, which could keep you skin healthy and not dull. You may see a lot of people do this, as this way has become famous over the years. In fact, as we have mentioned there are cocktail products of cranberry sold in the market. But, our tip is to make your natural cocktails on your own at home. You’ll just have to add a couple of teaspoons of an organic unsweetened cranberry juice into a glass of sparkling water. After that, you can also add a little maple syrup if you want to eliminate the sour taste and make it really taste like a fruit cocktail. And voila! Cheers to that. Lastly, this trick has been so effective to those who don’t want to drink an all-sour cranberry juice. We say it’s totally fine to dilute it with water in order for you to drink it. So that’s it guys, we really hope that you learned something about unsweetened cranberry juice. Remember to always choose the natural way. It is always the same as choosing the healthier way. What is your favorite way to drink cranberry juice?